Combine all the ingredients except for the fruit and cook in a pasteurizer at 80°C. Let it cool and combine the fruits. Mix all the ingredients with a blender and whisk. Cook the ingredients at 80°C in a pasteurizer and let cool. Add the syrup. 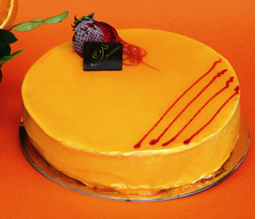 Spread a layer of strawberry gelato and another one of orange gelato over a layer of orange sauce soaked sponge cake. Put in the blast chiller. 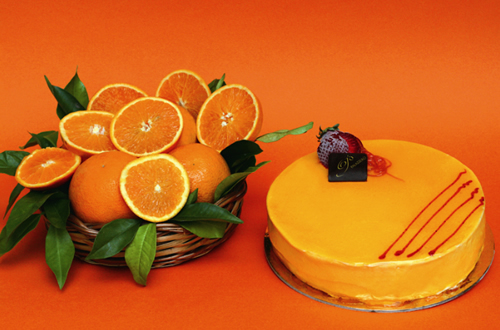 Take out the cake and cover with orange aromatised neutral gelatine.